TISCO Foundation: บริจาคเสื้อผ้า และสิ่งของให้กับศูนย์เยาวชนปนัดดา จันทร์อุดร - TISCO Foundation has donated used clothes and household items to Panadda Janudorn. 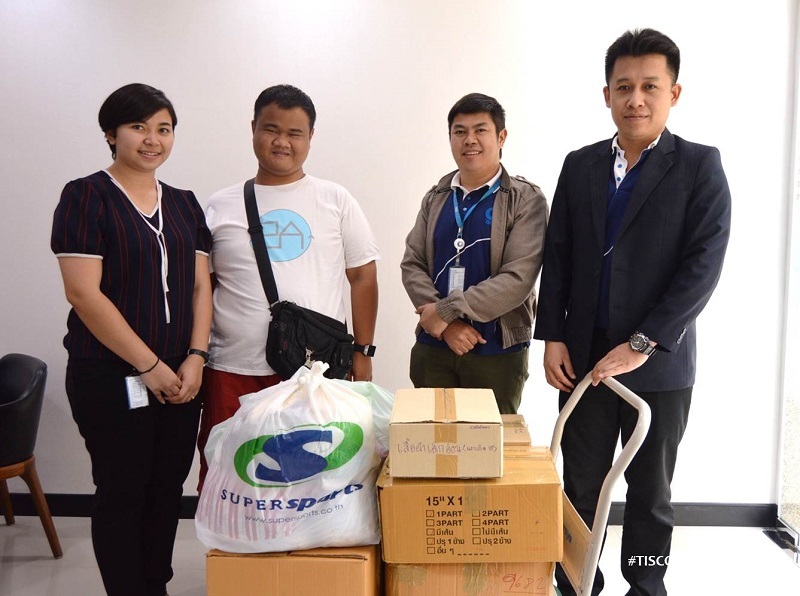 บริจาคเสื้อผ้า และสิ่งของให้กับศูนย์เยาวชนปนัดดา จันทร์อุดร - TISCO Foundation has donated used clothes and household items to Panadda Janudorn. TISCO Foundation has donated used clothes and household items to Panadda Janudorn Youth Center. These items were donated to the foundation by TISCO Group employees.